IN April Michaela Boland, a senior arts reporter for The Australian, tweeted that NSW arts minister George Souris – he is also minister for tourism, major events, hospitality and racing – had confirmed Madama Butterfly as next year’s Handa Opera on Sydney Harbour. I don’t think he was supposed to let that one slip, given the official launch was this morning. Souris did have plenty of fresh news to offer today, however: Opera Australia’s production is to be directed by Alex Olle from La Fura dels Baus and will have a contemporary setting; the title role will be shared by Japanese soprano Hiromi Omura, who was a deeply affecting Cio-Cio-San in Sydney last year, and Hyeseoung Kwon, an OA regular; and two relative unknowns will appear as Pinkerton, Russian tenor Georgy Vasiliev and Basque Andeka Gorrotxategi. 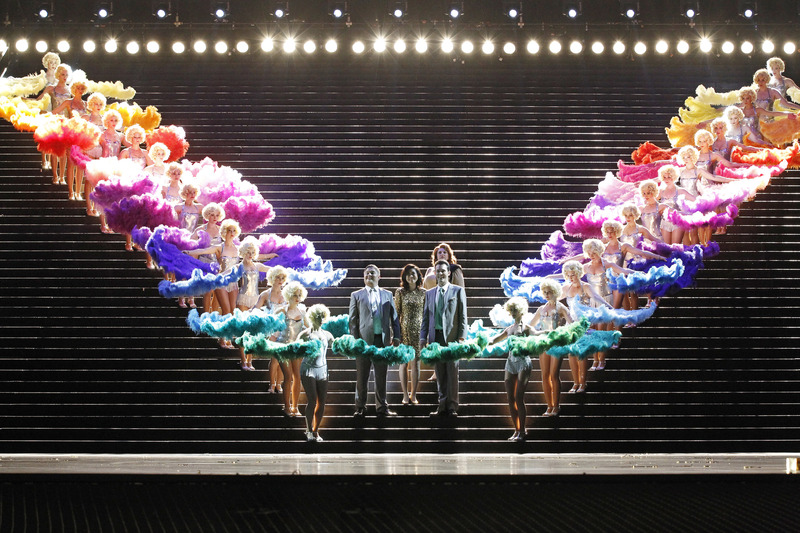 Souris said the production “will retain the grace and beauty of the original” and “connect with today’s audience”. OA describes it as “a modern oriental fantasy”. There is the promise of fireworks, naturally, and some spectacular scenic effects, although they may not be the kind opera-goers immediately bring to mind when they think of Madama Butterfly. La Fura dels Baus will locate the opera in an encroaching urban environment. OA’s artistic director, Lyndon Terracini, said there is the idea of a paradise lost and that Cio-Cio-San will see the city growing around her. Pinkerton, as a commercial developer, will be responsible for the loss of the life she knows. Clearly Souris’s April comment that “Pinkerton will arrive on a Royal Australian Navy boat” is not useful in this scenario, but Terracini did tell me today that Pinkerton will be conveyed to the floating stage via some kind of vessel. The Catalan theatre company La Fura dels Baus is well known to Australian festival audiences and has become a force in opera production in Europe in recent years. Earlier this year its production of A Masked Ball for OA set Verdi’s opera in a totalitarian state, a decision quite unremarkable for La Fura but bracing for some OA patrons. For Madama Butterfly Olle will work with designers Alfons Flores (sets) and Lluc Castells (costumes) as he did for A Masked Ball. The indications are that although there will be some big theatrical moments there will be rather less of the bling that so delighted audiences at the inaugural HOSH, La traviata, and last year’s Carmen. “We have to find a different way of doing it, a more contemporary way,” says Terracini. Among the new touches are tenors making their Australian debuts in Sydney. Terracini is frank about always being on the lookout for singers who are still at the stage of career-building – “trying to make an impact” – and securing them before they become too expensive. The young and handsome Gorrotxategi (pronounced, I am told, Gorat-SA-teji) can be sampled on YouTube singing Recondita Armonia in a Spanish production of Tosca. Yet, there was one voice who triumphed: Rodolfo, masterfully portrayed by young Russian tenor Georgy Vasiliev. Using his enormous vocal range and rich tonal spectrum, Vasiliev portrayed the young penniless poet at different stages of his character development, thus allowing the audience to witness his vocal and dramatic evolution. Having given a light, almost bel canto coloring to his “Che gelida manina” in the very beginning of the opera, the tenor gradually descended into the dark world of Puccinian tonality, as he painted Rodolfo’s transformation from a careless youth in Act I into a mature, grief-stricken man in Act IV. Vasiliev is due to sing Alfredo Germont at the Deutsche Oper Berlin’s La traviata in October. Souris naturally talked up the economic benefit of HOSH to Sydney – $20 million, he said – and referred to HOSH as the cultural event of the year. Sydney, he said, was ‘home of the performing arts”. Moreover, “Investing in exclusive events that have such bold vision is a key priority for the NSW Government.” With the original three-year agreement coming to a close with Madama Butterfly, that kind of rhetoric would lead one to expect the NSW Government, through Destination NSW, will continue to help fund the event along with Dr Haruhisa Handa’s International Federation for Arts and Culture. We shall see. I felt there was something a little ominous in this paragraph in the minister’s printed statement: “Following on from the enormously successful production of La traviata in 2012 and Carmen in 2013, Madama Butterfly is a fitting ‘third act’ to Opera Australia’s objective of delivering three seasons of the greatest operas ever written.” Or is that just me? OA subscribers this year get first dibs on HOSH tickets when 2014 season subscriptions go on sale on Friday, August 23. Terracini will announce the season in Melbourne on that day. Single tickets go on sale on September 23. Madama Butterfly, Handa Opera on Sydney Harbour, from March 21-April 11, 2014.